Rocky L. Peterson is senior counsel in the Princeton, N.J. office of Hill Wallack LLP and a member of the firms’ Litigation Division. Mr. Peterson is administrative head of the firm’s School Law and Municipal Law Practice Groups. He concentrates his practice in general litigation, municipal law, school law and labor and employment issues. He represents municipalities, district boards of education, community colleges and other public entities. Prior to joining Hill Wallack LLP, Mr. Peterson served as deputy attorney general for the New Jersey Division of Criminal Justice, Trial and Appellate Sections. His advocacy resulted in published opinions in the New Jersey Supreme Court, Federal District Court for the District of New Jersey and the Third Circuit Court of Appeals. 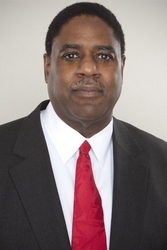 Mr. Peterson also formerly served as director of law for the City of Trenton Law Department where he was responsible for the supervision of internal staff, as well as municipal prosecutors and outside counsel on a variety of corporate, municipal, finance and litigation matters. He was also responsible for negotiating with various collective bargaining groups in the City of Trenton and achieved agreements with the PBA, TSOP (supervisory officers bargaining unit), and the Firefighters Union. Mr. Peterson is admitted to practice in New Jersey (1977) and before the U.S. Court of Appeals for the Third Circuit (1979) and before the U.S. Supreme Court (1992). Mr. Peterson earned his J.D. from Cornell University Law School and his A.B. from Cornell University, where he also served as director of the Criminal Division of the Cornell Legal Aid Clinic.